Atna Njock, also known as Zekuhl, grew up in the Central African country of Cameroon. His initiation to Cameroonian and Bantu musical traditions, as well as those of the Baka Pygmies who lived near his village of Kaya, began at age four. He then enriched his traditional music knowledge through developing the notions of jazz, classical, contemporary, modern, and world music. Guitars, balaphones, the Mbè (a long skin-covered drum) and the Nkuu, or African telephone, are his instruments of choice. The Nkuu (pronounced Nkoo), also called the African telephone, is a wooden drum with hollowed-out slits whose tones reproduce spoken language thanks to an ancestral system of rhythmic codes. It is used to communicate from village to village and to celebrate life’s rituals and major announcements. 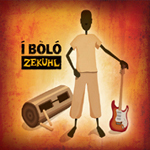 Zekuhl arrived in Quebec in 1991 and became one of the forerunners of musical diversification in Quebec. His first two albums Zekuhl (1992) and Amon (1997) both made their mark on the 90s. He is both a singer and a songwriter and he composes the parts for all of the instruments and voices. Each piece is composed using ancestral musical traditions. For the Bàsàa people, the “Bolbo” is a musical ritual of gathering. This is the term that he uses to describe the artistic universe of his Afro Bolbo Jazz music, where everyday life, diversity and spirituality are expressed. In 2011, he self-produced his third album Í Bòló, marking his return to the spotlight. He is a talented multi-instrumentalist and fervent defender of African music and all of its treasures. On percussion, as well as on the guitar, he masters many Cameroonian musical styles, including the Assiko, the Bolbo, the Bikutsi, the Ndin, the Mangambeu, the Bol, the Makossa, the Mbalè, the Mpeya of the Baka Pygmies, etc. He shares the wealth of his culture not only through the performing arts, but also by giving lessons, workshops and conferences. He has given numerous concerts at the following events: the Montreal International Jazz Festival, the International African Nights Festival, Festival des Traditions du Monde de Sherbrooke, Francofolies de Montréal, Musique Multi-Montréal, the Ottawa Jazz Festival, Toronto’s Womad festival, etc. This third album was created thanks to a grant received by the Canada Council for the Arts and it was produced by the artist himself. Atna Njock wrote the lyrics and composed the music for the twelve songs on the album. These songs remain faithful to the rich tradition of Bantu music in Cameroon and Central Africa as they travel from afro-jazz and afro-beat to French song and world music. The songs on Í Bòló are sung in French, in Bàsàa (the artist’s native language) and in English, and they speak of the efforts that we must make each day in order to improve the conditions of our lives. This second album was made thanks to grants received from MusicAction, Canadian Heritage and the Canadian Council for the Arts. The eleven songs on this album were composed by Atna Njock. 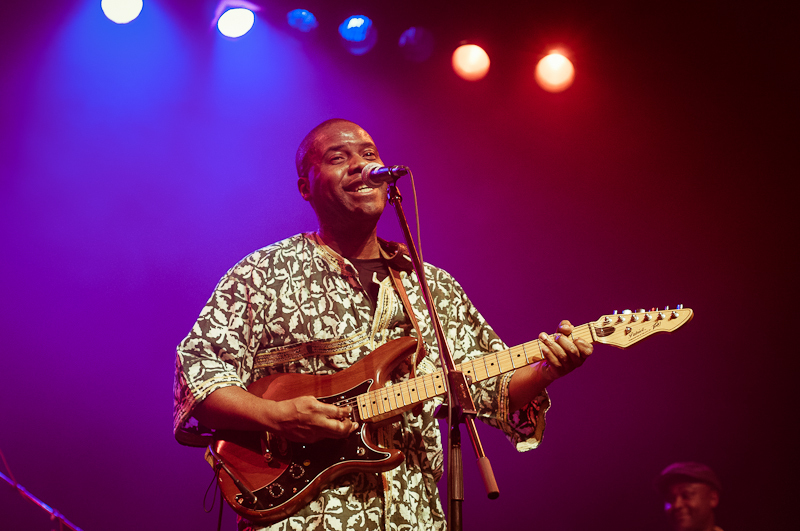 While they display the influence of both traditional and contemporary Cameroonian and African music, they also integrate some more Occidental elements. The etymological meaning of Amòn en Basaa is “say”, and it expresses a call for fraternity among the people of the world. This first self-titled album was made thanks to the collaboration of MusicAction and Canadian Heritage. On it, we discover one of Quebec’s pioneer world music groups. With its Latin, rock and jazz fusion flavours, it was very well-received in the media. The song “Zimbab” appeared in a world music compilation produced by Sony MusicCanadain 1995.